A deluxe collector's edition of the phenomenally bestselling The Kite Runner, filled with striking and memorable photographs that bring Khaled Hosseini's compelling story to life. 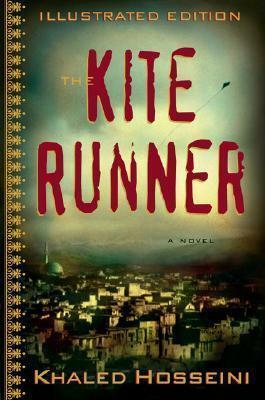 Since its publication in 2003, The Kite Runner has shipped over four million copies and spent more than two years on the New York Times bestseller list. Taking us from Afghanistan in the final days of the monarchy through the horrific rule of the Taliban, The Kite Runner is the heartbreaking story of the unlikely and inseparable friendship between a wealthy Afghan boy and the son of his father's servant, both of whom are caught in the tragic sweep of history. Published in the aftermath of America's invasion of Afghanistan, Khaled Hosseini's haunting writing brought a part of the world to vivid life that was previously unknown. Now this beautifully produced, collectible hardcover enhances Khaled Hosseini's story with unforgettable color and black-and-white photographs of the people of Afghanistan and their surroundings, further illustrating the world in which the story is set and heightening the already powerful experience of reading this incredible book.